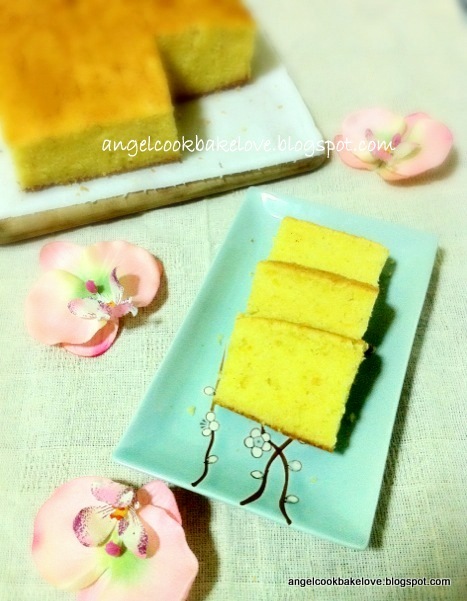 This is a light butter cake with scent of durian, the King of Fruit. 2) Cream (B) till light and fluffy. 3) Add (C), one at a time, mix well before each addition. 4) Add durian mixture and mix till evenly blended. 15 mins, 175C 15 mins and 165C 12 mins). Hi Alice, your cake look very moist. Love the plate, nice design. The plate is a steal I bought from Taiwan at NT19 only ! 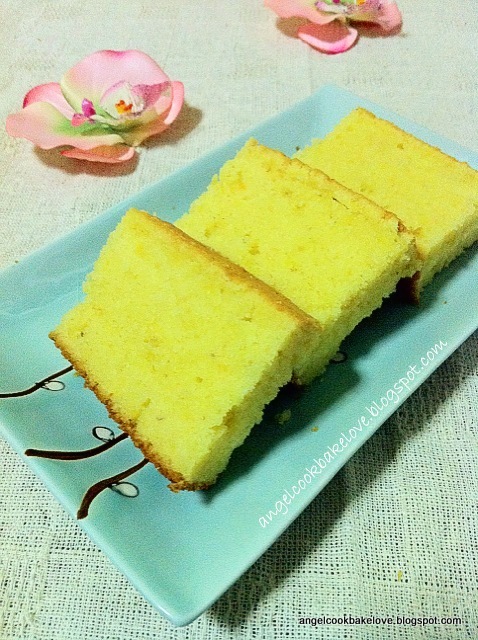 I can smell the fragrance of durian just by looking at your cake. did it make the texture better? 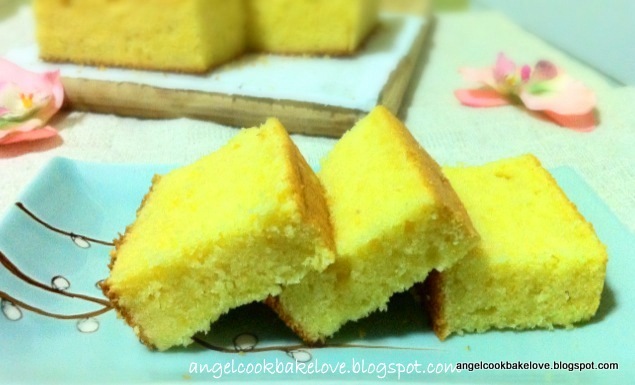 The bread flour makes the cake less crumbly and slightly firmer in my opinion. When baking with fruits use bread flour to cost the fruits give better result I think. 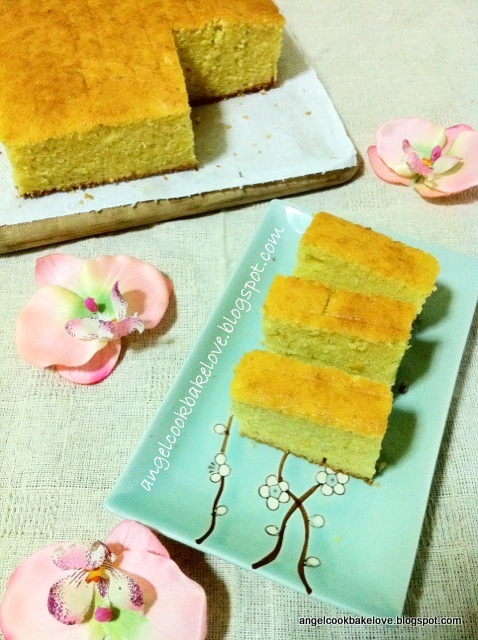 i think durian lovers will love whether it's chiffon, hokkaido etc..this durican cake must have tasted good.. rich and velvety..
i have the same question as alice, did bread flour make any different to the cake? Please read my reply to Alice. I think it makes little different. Oh wow! I know I will love this cake very much. But too bad my Mum gets dizzy when she smells durian. Hah! Hah! Make this for urself and make ur mum another cake solve the problem .